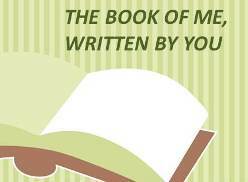 This post is part of an ongoing project, the Book of Me, Written by You, started by Julie Goucher of the Angler's Rest blog supported by Thomas MacEntee of Geneabloggers. I was born in 1961 in Sunderland Maternity Hospital on Chester Road, Sunderland. This was a newer building in the ground of the older Sunderland hospital where my mum had trained as a nurse cadet from the age of sixteen. She qualified as a nurse the same year she married my father, 1959, and I came along precisely two years after their wedding day. Mum can't remember very many particulars, there were just midwifery staff there when I was born, no doctor in attendance. She had been brought into hospital to be induced as I was ten days overdue. Mum was subjected to a dose of caster oil and enema and a hot bath and once I started coming I arrived pretty sharply. Apparently I had a bruise on my head because of the speed I was born! Mum can't remember what time of day it was, but probably the early hours of the morning following her admittance. I had a shock of dark hair, but that all fell out and blue eyes, which later changed to 'many colours', but which were described as blue when I was at school. Nowadays the OH tells me they are 'every colour' - I have a theory that they change depending on my mood or the weather or something like that! I weighted 8lb and 1.5oz and it was a Tuesday, making me 'Full of Grace' according to the rhyme. I was not very successful at ballet classes though as a child, but I am quite flexible these days and like doing a bit of yoga, however that might be part of my disability - over-flexible joints - so maybe I shouldn't crow about it! Mum remembers being kept in hospital for six days after my birth, that was normal procedure for those days. When my brother was born three years later she was only kept in for two days, whether that was because he was her second child or an general change in procedure, or just a need for the bed Mum isn't sure. In the picture I am nine days old - my birthday is just a couple of days after my Mum's so I know she was just twenty three years old here. That seems very young to me now, my daughter, who has just begun her first teaching assistant job after University is twenty five years old! Thanks to Julie and the Book of Me Project for giving me the push to ask my mum these questions. I am amazed I never did before, or if I did I can't remember the answers. We are the same age. Well, I'm a wee bit older than you. Ha ha. When you describe your eyes, I am thinking of a mood ring. My mom lives with me, so I can ask her anything anytime. You would think that would be an advantage, but actually, I don't ask her things often enough, but she does read my blog and doesn't hesitate to correct me when I get it wrong! I had to call my mother and ask her questions too. It's not something we've ever talked much about. Enjoyed reading about the person behind the Barnsley Historian blog. So good that your Mum is around to share this info. Thanks to you all for reading - I'm looking forward to the third prompt in the Book of Me ... what corners will Julie have us poking in next Saturday?! !